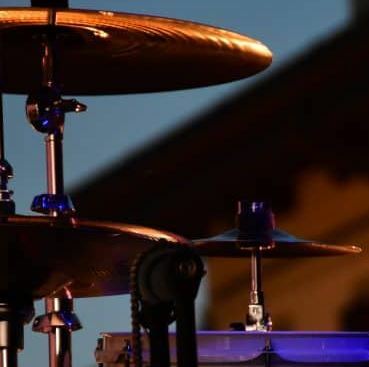 Drum thrones may seem like an afterthought for drummers, but they’re actually one of the most important parts of your drum set. Excellent posture is a pillar of your health as a drummer. 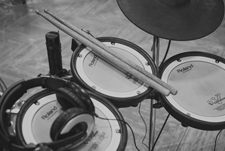 Excess slouching and bad form can be quick ticket to ending your drumming career. In this article, I’m going to explain what you should be looking out for. I’m also going to list and explain my top 4 recommended drum thrones. 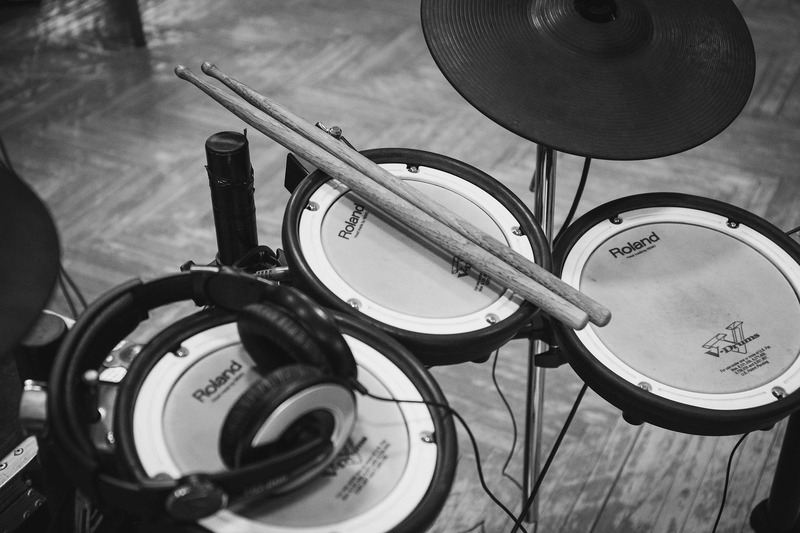 These are applicable to both acoustic sets and electronic drum sets. Drumming for long periods of time while sitting on a junk drum throne is like running a marathon in bad running shoes. It can really cause you problems and injury in the long term. In the next few paragraphs we’re going to talk about the key characteristics of ergonomic drum stools, and present some specific thrones. Great quality drum throne. Great for players with lower back problems. 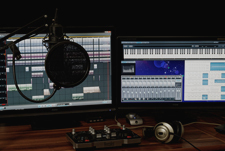 They are often not height adjustable, therefore the drummer may not be at the correct angle for the pedals or may be out of reach of the cymbals. Drum thrones can be a little on the expensive side. However, I’ve listed out some options below that are actually very reasonable. 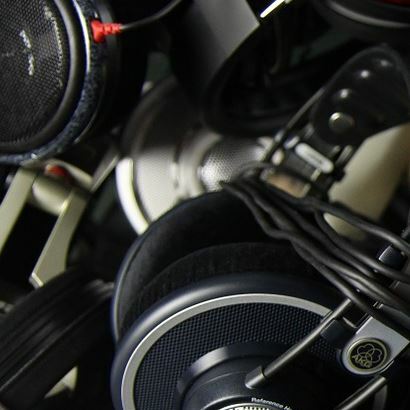 They are a serious investment into your drumming career. Quick height adjustability: It’s very important to be able to make small changes to your height to ensure that you are in correct alignment with the kit. 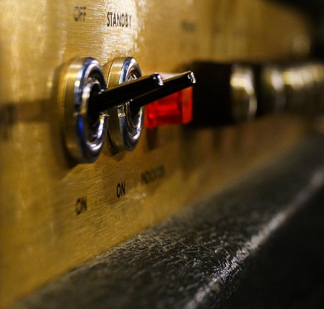 This feature is particularly important if you share a drum set with other people. Seat shape and cushioning: Memory foam and comfortable seat materials help a massive amount when playing for a long period of time. The shape of seat is mostly a personal preference. Back rest: This is not vital, however if you suffer from back problems then these are well worth considering. One of the most popular drum stools on the market, the ROC-N-SOC Nitro Throne delivers a bicycle-like shape for better posture. As such, it also prevents your legs from exhaustion during gigs. 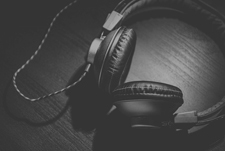 In turn, it improves your playing ability and enables you to play longer music events. 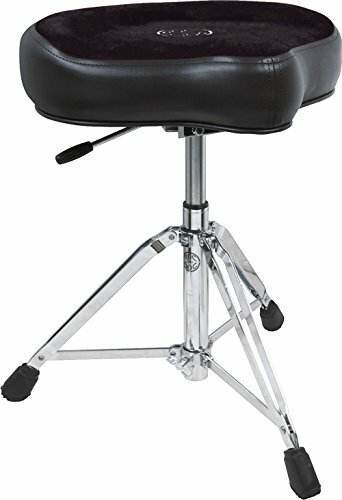 The seat on this throne contains a nitrogen gas shock absorber, which provides a comfortable sitting position for drummers, regardless of the drumming style. The biggest advantage of this spring-like system is that it gives the drummer that bouncing feeling, which amortizes the pressure on their back and feet. The ROC-N-SOC throne can be adjusted so that it fits drummers with all sorts of leg lengths. The height range is 18’’-24’’. Also, the legs on this throne are double-braced, which adds to the stability of the entire structure. Finally, the dimensions of this throne are 24.5 x 20.5 x 16 inches, with the weight of 14.7 pounds. It’s easily stored when you’re traveling to your gigs and simply installed. 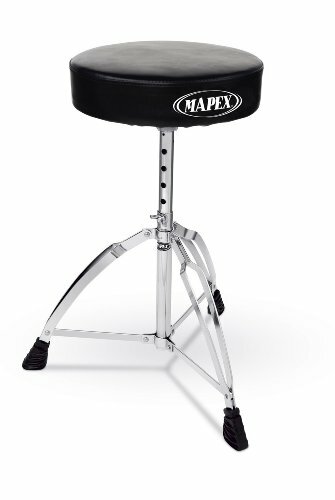 The Mapex Double Brace throne delivers a slightly different approach to drumming ergonomics. An ample round seat takes the central part of this stool. It’s a thick cushion that will keep your posture correct during shows. This drum throne has double-braced legs. As a result, they can handle drummers of different weights and various playing styles. 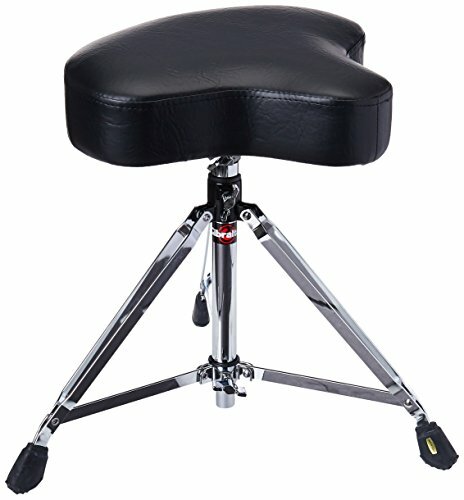 With that firm base, this throne is good to endure long drumming sessions. When it comes to adjustments, there’s a tube collar lock in the middle of a steel tube that serves for setting the height of the throne. The height scope gives a lot of room for adjustment for drummers of all sizes and needs. This is a light throne, practical for various gigs and stages, the Mapex Double Brace throne is a nice option for long and comfortable drumming performances. The Tama 1st Chair Ergo-Rider drum throne is a great pick for drummers who play long gigs or practice sessions, and those who have problems with their back. The first thing you see when you take a look at this drum throne is the backrest. Its height and the vertical angle can be adjusted, which can really help to get the playing position to just right. Also, the rest is foldable with the seat, which is a practical feature for drummers on tour. 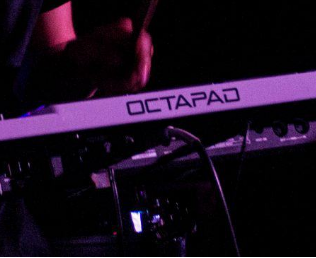 Thanks to that special feature for the back, this throne ensures great ergonomic value for every type of drummer. As for the seat itself, it’s a blend of a traditional round shape and a saddle form. This hybrid seat delivers a great match of comfort and the drumming freedom of movement. The special cutaway addition at the front gives an extra support and comfort for drummers in fast music genres. For instance, it’s a great perk for drummers who play the double bass drum. The size specifications of the Tama 1st Chair Ergo-Rider throne are 20.8 x 19.8 x 13 inches. It weighs 20.7 pounds, mostly due to its double-braced four legs. 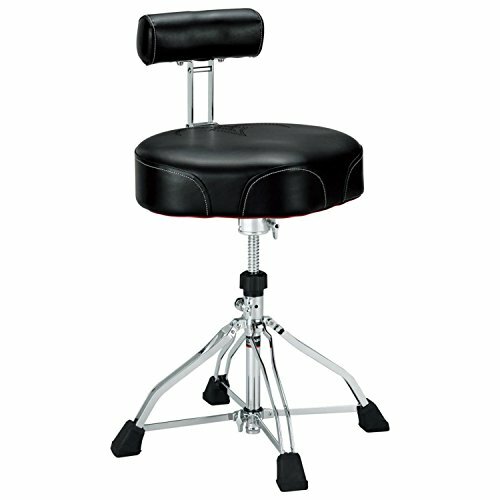 The Gibraltar 6608 Heavy Drum Throne is a valuable combination of price and value. It ranks pretty high when it comes to ergonomics and durability. The seat is filled with top-notch memory foam, which easily adjusts to various sizes and types of drummers. Three double-braced legs ensure stability of the entire structure. The Gibraltar 6608 throne comes with handy height-adjustment features – you just fix the memory lock when you find the right throne height for your drumming needs. What also makes this throne so attractive is the vintage motorcycle design of the seat. If you play drums in a hard rock or metal band, it might be a great music accessory for your music image. In addition to choosing your drum throne, I would highly recommend that you put some time into doing some basic exercises that can help improve the strength of your lower back and hamstrings. If you would like to learn more, check out these articles on back exercises and hamstring exercises. There are a lot of options to choose from when it comes to drum thrones. If you don’t have any problems with your back, the ROC-N-SOC Nitro throne comes as a great blend of comfort, ergonomics, design, and value. It’s an affordable stool that should serve you good for a long period of time. But if you have any issues with your legs or back, the Tama 1st Chair is a great solution. Although it is a bit more expensive, it will support your back and legs by keeping your posture in alignment. Picking any of the above is a great investment in your drumming health. Even if you don’t have a big budget, it’s really worth getting a decent drum throne, which is specifically designed for drumming. Write a comment below if you have any questions on drum thrones. I’d be delighted to answer them!